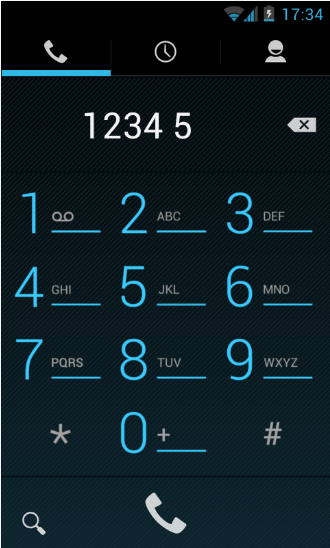 Download Secret Sms apk app & secure your secret messages using a pin code. This app is simple & easy to use. Have you got some private messages/sms or any other important conversation & you want to keep it safe & secure from others? 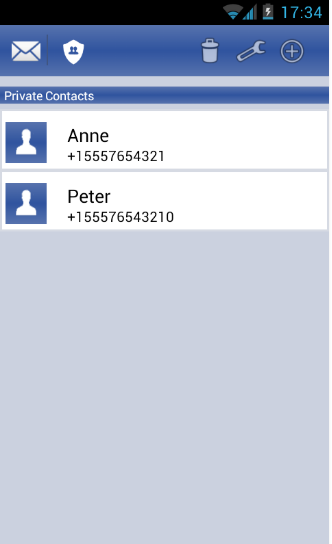 For that many android sms lockers have been developed & one best among them is Secret sms. This app has got the feature that it hides the private messages from inbox & only you will have the knowledge of existence of these sms. This app has got the feature that after the installation, no icon will be appear in your android phone, so no body will be able to uninstall it & it will secretly enhance the privacy & security of your apk phone. 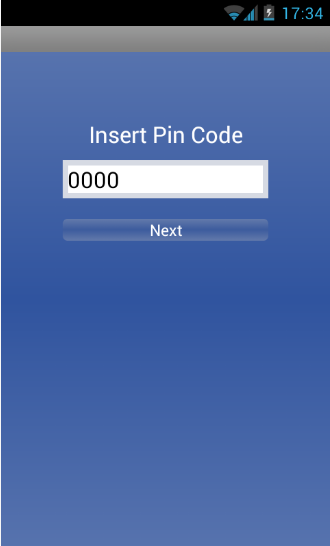 Protect your sms using a pin code. App icon does not show in android phone after the installation. 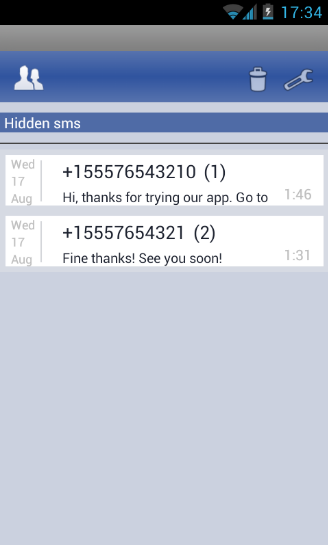 Secret sms secretly secure your phone by hiding the important conversation from inbox. App has got its complete way of running which is illustrated below. No speical notification for incoming messages. Only default tune will ring. Download & install this app. Now open the phone dialer & make a fake call to 12345. You can also change the pin code. For reading private messages, you will again have to open the dialer & call 12345.